If you currently have gorgeous looking healthy hair you will want to do everything you can to protect your locks from becoming damaged. While you can change the way you style your hair (by avoiding the excess use of heat tools, chemical processes, and aggressive brushing) to get the most protection from strand damage, you can also boost your efforts by choosing protective hair products. A lack of moisture is the most common culprit of damaged hair. Just like your skin and other body systems, your hair needs moisture to thrive. However, everything you do to your hair, from shampooing to styling, has the potential to rob your hair of much needed hydration. In order to protect your hair from unwanted damage you need to take steps to protect its moisture levels. No matter what hair type you have (normal, dry, or oily) you must condition after every shampoo. Since shampoo strips the natural oil from the scalp and hair shaft you need to replenish this moisture balance after every cleansing. For daily conditioning choose a light product and only apply the conditioner to the lower one third of your hair. Once a week, deep condition the hair right after shampooing to replace lost moisture by applying a creamier condition to all of your hair and allowing the product to penetrate for one to five minutes. If you use a lot of product, frequently style your hair, or spend a lot of time outdoors, you will want to increase your conditioning efforts with a weekly hydrating product. Hydrating hair masks, hot oil treatments, and conditioning steam treatments will help repair weekly hair strand damage and help you maintain healthy looking hair. If you want twenty-four hour moisture protection you might try a leave-in conditioner. These light sprays or creams are designed to coat the hair strand and help lock in natural moisture. Finally, you need to avoid any hair styling products that contain alcohol if you want to protect your hair's moisture levels. Alcohol robs the hair of hydration and continued use can lead to hair strand breakage, brittleness, and split-ends. The sun, wind, and high temperatures can all work to dry out your hair. Luckily there are a few ways you can combat the effects of the weather and still keep your hair in tiptop shape. First, if you will be spending any time in the sun you need to apply a hair product that contains UV blocker, or SPF (sun protection factor). Just as the rays of the sun can be damaging to your skin, they can also have a negative affect on your hair. Too much sun exposure can dry out hair strands and leave your locks brittle, frizzy, and full of split-ends. SPF additives are available in hairsprays, leave-in conditioners, styling gels, and balms. To protect against wind damage and high outdoor temperatures you will want to use a product that coats the hair. Styling mousse, leave-in conditioners, hairsprays, and shine balms all add a layer of long lasting protection to the hair strand that helps lock in moisture and prevent dryness. If you blow-dry, curl, or straighten your hair with heated styling tools you will also want to be sure and protect your hair against the damaging affects of artificial heat. 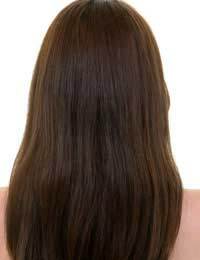 Before heat styling wash your hair with a shampoo or conditioner formulated for heat styled hair. These products contain extra moisturising additives to help hair strands hold onto moisture during the styling process. Before touching your hair with a heat styling tool apply a heat-activated styling product. Heat-activated leave-in conditioners, mousses, styling gels, and moisturising balms all contain additives that melt when exposed to heat. These additives coat the hair strands to provide a barrier against direct heat, lubricate the strands to prevent snagging on the styling tool, and help hair strands hold moisture deep in the cuticle.